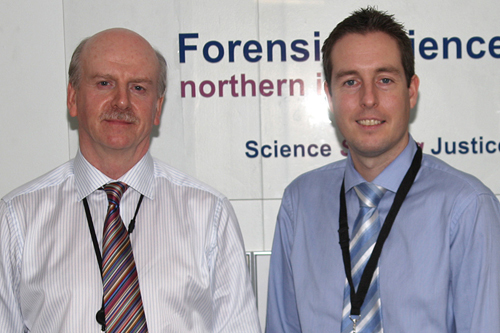 ESCALATING dysfunction in Northern Ireland’s forensic science agency is laid bare today with officials shown to have been angered by a senior judge’s criticism of its performance. As an investigation by The Detail reveals delays and mishaps at Forensic Science Northern Ireland impacting on a substantial number of criminal trials and investigations, documents show its executives reacting with indignation at a rebuke from Mr Justice Reginald Weir. An e-mail from the chief executive Stan Brown suggests the judge – a veteran of hundreds of criminal trials – has “made very negative generalisations”, does not understand the problems faced by FSNI and, in a letter to him, another FSNI official advises that the judiciary and the agency “have a joint responsibility to ensure confidence in the criminal justice system is maintained”. 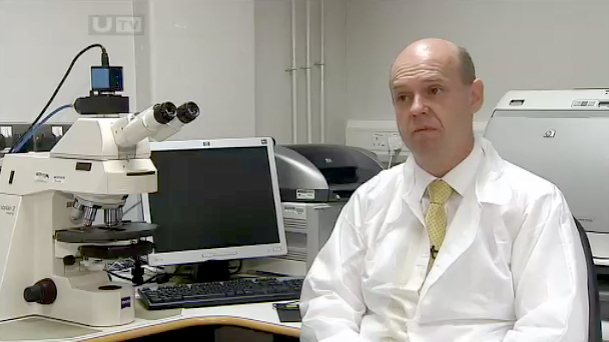 The documents, obtained by The Detail under the Freedom of Information Act, also show Northern Ireland’s State Pathologist, Professor Jack Crane, losing patience with FSNI and threatening to have toxicology tests carried out elsewhere because of “unacceptable” hold-ups. Mr Justice Weir publicly criticised FSNI last summer after it emerged that a suspect in a drugs trial had been held in custody for a year because of repeated failure to carry out forensic tests on key evidence. 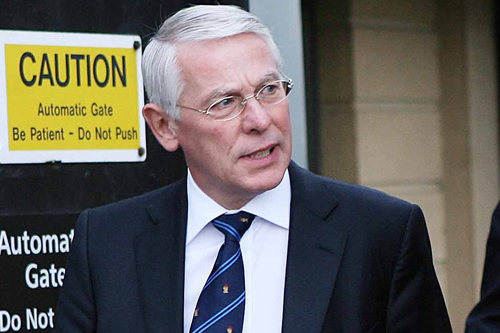 The following month, another senior judge, Mr Justice Hart, expressed concern about delays in forensic tests at FSNI, warning that court cases were being held up all levels. Both these incidents were played out in public, but the agency had been the subject of criticism back in June – which went unreported – over its performance in another case, again presided over by Mr Justice Weir. At the end of the Family Court hearing, which involved harm caused to a disabled infant, Mr Justice Weir drew attention to the disappearance of a crucial exhibit, after it had been sent to FSNI for testing in March 2010. He said: “For a period of 6½ months it languished there due to the incompetence of the laboratory in putting it in the wrong place, appreciating that it required to be tested and submitting it to the correct person for testing and the parallel failure of the police to adequately follow up the whereabouts of the sample and the outcome of any testing. “There appear to have been no procedures and certainly no adequate procedures in place either on the part of the FSL [Forensic Science Lab] or of the police to follow up the progress of this analysis and to obtain a report. While FSNI chiefs have previously admitted that the agency is facing major pressures due to increased workloads and understaffing in key departments, the true extent of the crisis at the Seapark laboratory can only now be revealed. An FSNI spokesman confirmed to the Detail that it had a backlog of 159 pieces of evidence last month. Of those delayed cases, nine have been with FSNI for more than three years, with one item having been submitted for testing to FSNI as far back as 2007. The figures show that the backlog has jumped markedly since 2010, with 151 pieces of evidence having failed to be completed by their test deadline. FSNI maintains, though, that only two of the 159 backlogged cases involved “pending prosecutorial actions”: namely, cases set for trial. Mr Justice Weir has been critical of forensic science evidence in previous trials, most famously in the trial of Sean Hoey for the Omagh bombing in 2007 where scientists from Northern Ireland and England came under intense scrutiny. In July this year at the bail hearing in the drugs case, three weeks after the Family Court case, Mr Justice Weir was showing increasing irritation at the slow processing of forensic science evidence across the board. This was to trigger a major reaction inside FSNI – in which the Department of Justice was involved. We have a copy of an e-mail sent by FSNI Chief Executive Stan Brown on July 21 to officials within the agency and the Justice Minister, David Ford, drawing their attention to Mr Justice Weir having made “very negative generalisations regarding FSNI”. “In relation to the more generic criticisms of FSNI levelled by Mr Justice Weir, I am concerned that such public statements indicate an underlying lack of understanding of the systems, structures and funding constraints of forensic science provision. “In the absence of a balancing perspective, there is a risk that the media and the public (including jurors) may develop a biased view of forensic input to cases, risking justice delivery and undermining public confidence. “This issue is particularly sensitive in the light of heightened focus on the Omagh bomb case (at which Mr Justice Weir presided” … the rest of this phrase or sentence in Mr Brown’s e-mail has been redacted from the copy provided to us. It is also resolved to formally responding to Mr Justice Weir following a detailed analysis of his complaint under FSNI’s quality procedures. 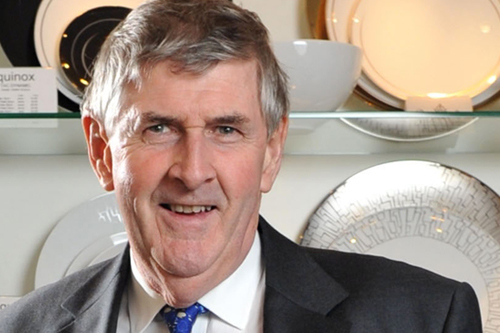 On August 19, FSNI’s Director of Reporting Services (DRS), Peter Barker, wrote directly to Mr Justice Weir, copying in the Lord Chief Justice, the Chief Constable Matt Baggott and the Justice Minister, to defend the agency’s standing. This letter, again released to us, states: “As you will appreciate, reputation is particularly important to FSNI because it is essential that the criminal justice organisations, with which we work as well as the public and their representatives, have confidence in our work. “Staff here pride themselves on doing a professional job in often very demanding circumstances and their own confidence and motivation is understandably affected by adverse comments. The FSNI director goes on to claim that the agency’s delay in completing the forensic tests in the case which had led to Mr Justice Weir’s original criticism had come about as a result of external pressures from the PSNI and the Public Prosecution Service (PPS) for FSNI to prioritise testing in other cases involving dissident republican and other serious crime. He states: “It should be noted that our case priorities are essentially determined by the police. “At that time (as now) FSNI were experiencing an unprecedented level of demand across the agency as a whole, with a number of murders, terrorist-related and other serious incidents placing a substantial and protracted strain on police and agency resources alike. “These cases were prioritised by the PSNI customer and much of the agency’s resource was diverted to meeting the challenges posed by processing this work.” The following sentence in this letter is redacted. Later Mr Barker draws attention to the imperative for a positive public perception of the criminal justice system to be supported. He says: “We fully appreciate the independence of the judiciary but, as an operationally independent organisation in our own right, recognise too that we have a joint responsibility to ensure confidence in the criminal justice system is maintained. Mr Justice Weir responded to this letter two weeks later, copying in the same figures, advising Mr Barker that the problems needed addressing, rather than the perceptions – and making clear that he would continue to speak up where he saw deficiencies. “In your letter you dilate at length upon the structures and partnerships that are in place. “I am afraid that the mere fact of their existence provides me with no reassurance whatsoever about the “dysfunctionality of current arrangements” and the need for outsourcing. He rejects Mr Barker’s claim that the delays have been inevitable because of the financial cut backs and pressures from the PSNI and PPS. “Whether its absence is due to inefficiency at FSNI [part of sentence redacted] or lack of resources is of little comfort to those affected by the resultant delays. “If you are genuinely interested to ‘ensure confidence in the criminal justice system is maintained’ then you and those who manage and fund you and those with whom you work in partnership must urgently and effectively address the deficiencies. “You speak of the police as being your “customer” but in my view your real “customer” is the justice system, which the present lack of “joinedupness” between you and the police and your lack of resources is plainly failing. “If and when I have the misfortune to encounter cases which have suffered as a result I shall not forbear to comment adversely upon them. FSNI was previously able to cope with the demand on its resources by sending exhibits to other forensic laboratories in Britain and abroad for testing. However the decision to privatise laboratories in Britain means that FSNI is no longer able to pass on the workload. 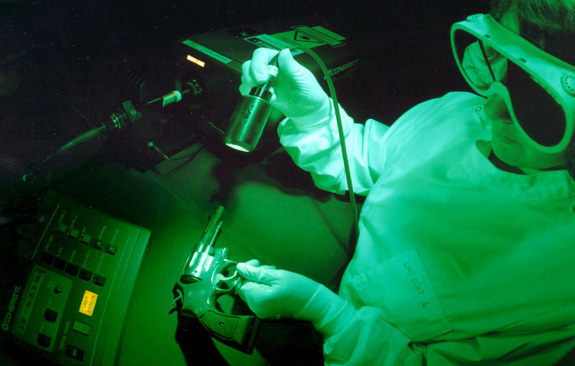 Prior to that, over a four-year period, 764 exhibits in Northern Ireland court cases were sent to forensic laboratories in Britain to ease a backlog at FSNI. In 19 other cases exhibits were sent abroad for forensic testing. More than 700 of the cases which couldn’t be handled by FSNI related to drugs/ toxicology cases. Toxicology services at the lab near Carrickfergus has been especially hard-hit by the recent retirements of key staff in that field and this has had a knock-on effect on post-mortems; with pathologists having to wait for results from FSNI before they can complete autopsy reports. Correspondence from Northern Ireland’s State Pathologist, Dr Jack Crane, to the Coroner’s Service in the summer of this year, which was attached to Mr Justice Weir’s response to Mr Barker has also been made available to The Detail. In it he reveals that pathologists have been left with a backlog of 80 cases since March because FSNI has “consistently failed” to meet agreed target dates for toxicology tests. Dr Crane warns that the ongoing delays are “unacceptable” and that he will have to consider sending toxicology tests to other science laboratories. The autopsy reports prepared by pathologists are often needed by the Coroners’ Service which runs inquests into suspected unnatural deaths. The Coroners’ Service here is presided over by Mr Justice Weir. In his correspondence to Mr Barker, Mr Justice Weir draws attention to the problems FSNI delays cause in for Coronial cases. FSNI’s “undue delays”, he says, have meant bereaved families are regularly put through unnecessary anguish. “During this time of heightened focus on the agency I would ask you all to be extra vigilant about ‘bombshells’ that could attract further criticism. “We need to make sure that, where possible, we make every reasonable effort to ensure that cases are processed as efficiently as possible within existing resource and that there are no skeletons lurking. “All staff, scientific and admin alike, should be vigilant to delay no matter how caused. “Without workflow, there are shortfalls in our IT which can leave us `blind’ to certain cases/issues and we need to ensure there is proper scrutiny and use of existing management tools (such as the RO work due reports). “If there are issues, please bring these to the attention of the board through your manager/director.